Jalaj was a part of Mumbai Indians for two seasons in 2013 and 2014 but did not get a single game. There is little denying that Jalaj Saxena is one of the best all-rounders in the domestic cricket for quite some time now. No one has taken more wickets than him in Ranji Trophy in the last five years and his contributions with the bat are equally impressive. Since the start of 2012-13 season, Jalaj has scored 3744 runs at an average close to 48, with nine centuries. In four of the last six seasons, he has scored at least 500 runs and one season (2012-13) where he scored 769 runs. His form this year is even better. The all-rounder, who changed side from Madhya Pradesh to Kerala in 2016-17, has already scored 465 runs with the help of two centuries from six matches. During this period, he has picked up 203 wickets with his off-spin, with 14 five-wicket hauls. He was the highest wicket-taker last Ranji season. This season, against Andhra, he became the first Indian to score a century and take an eight-wicket innings-haul in the same match twice. He has already picked 28 wickets too. But unfortunately, Jalaj has not got much recognition for his exploits. 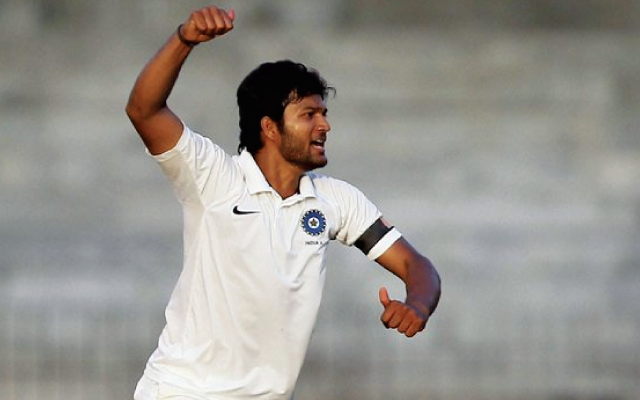 The left-armer is yet to make his India debut. For a player, who was recognized by the BCCI as the best domestic all-rounder in 2014-15, 2015-16 and 2017-18, the constant struggle to break into the national side could be a hard pill to swallow. But earlier this month, Jalaj got some much-needed recognition when Delhi Capitals secured his services for his base price of Rs. 20 lakh. While the IPL deal would have surely brought a smile on Jalal’s face after he had gone unsold last year, the allrounder insisted he was not too bothered about i. “I was not watching the auction. I was with my family and was not at all bothered about the auction. Late in the night, I got a call from a friend saying that I have been picked by Delhi,” Saxena was quoted as saying by The Times of India. Jalaj was a part of Mumbai Indians for two seasons in 2013 and 2014 but did not get a single game. In the following season, he was bought by Royal Challengers Bangalore but failed to get a game again. Jalaj, however, has some fond memories of spending time with the Mumbai Indians camp. Fondly remembering the time he spent with Ricky Ponting in the Mumbai Indians camp, he said he is looking forward to working with the legendary cricketer again. “I’m a big fan of his batting and especially the way he plays his cricket. It would be amazing to work with him again,” said Saxena.